The collecTV “TEMPO VALLEY” is the production/songwriting team and live band consisting of members: Slo (Producer), Kona, Johnny Tone and Aaron “Dubalator” Friedman (Musician, Songwriter, Engineer and Associate Producers…) Together they generate soundscapes that fuse hip-hop, spoken word, jazz, funk, latin, dub, reggae and neo-soul flavors on a collection of Volumes and collaborations. Stay tuned into T.V. as more details on the new projects unfold and performances. And put it on repeat if you can’t get enough of it. “Sometimes in life we get caught up in the wrong relationships, friendships or we allow people, things or situations in our lives that don’t belong there. 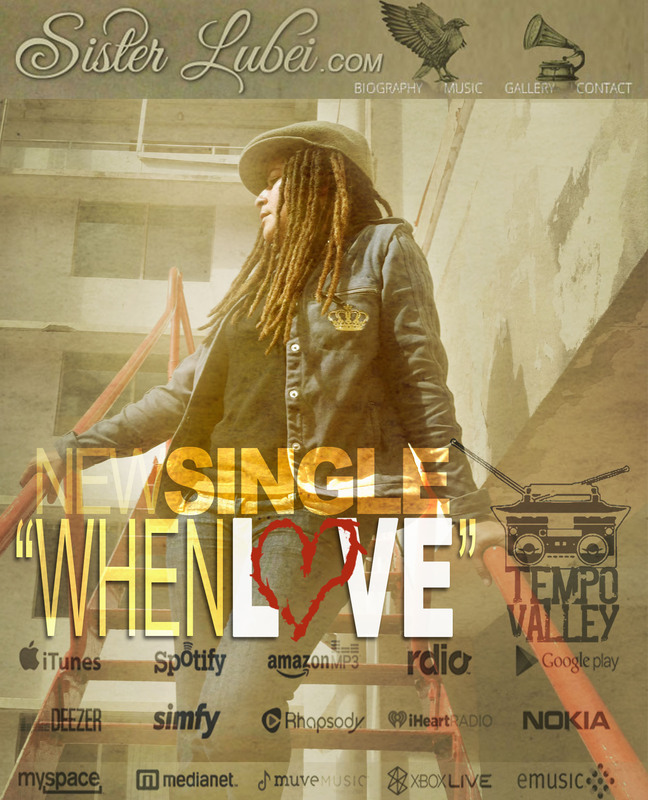 This song is about a woman who is letting go, releasing and overcoming.” With Tempo Valley providing a solid foundation for Lubei’s stirring lyrics and expressive performances. alongside Tempo Valley and much more. She also performed with the amazing Dub Apocalypse in Boston & New Hampshire. She is due to release her follow up album this spring 2013, produced by Tempo Valley with collaborations and re-mixes from other dj’s and artists from the Pacific Islands to the Atlantic oceans. “Raga”, in its original Sanskrit means “the act of dying or coloring”; something that colors one’s emotions or moods. This is also the essence of the Blues. These forms are primary in my evolution as a musician having grown up in Malaysia – a melting pot of cultural and diverse traditions – and then coming to live in the modern hybrid culture that is Hawaii. Over the last 14 years the Quadraphonix has developed its own hybrid forms that respect and celebrate the free flowing exchange of our 21st century musical environment. Quadraphonix was formed by drummer Jonathan Heraux for free form experimentation influenced by Jazz, Hip Hop, Funk, African, Latin, Rock and South Asian music. Our music blends it all together into a unique form of world beat. You will find blues guitar riffs and ragas echoing throughout this cd making seamless transitions within this composition. Traditional lyrics from the south Indian culture of Tamil fused with African rhythms and funk are the backbone of this project. 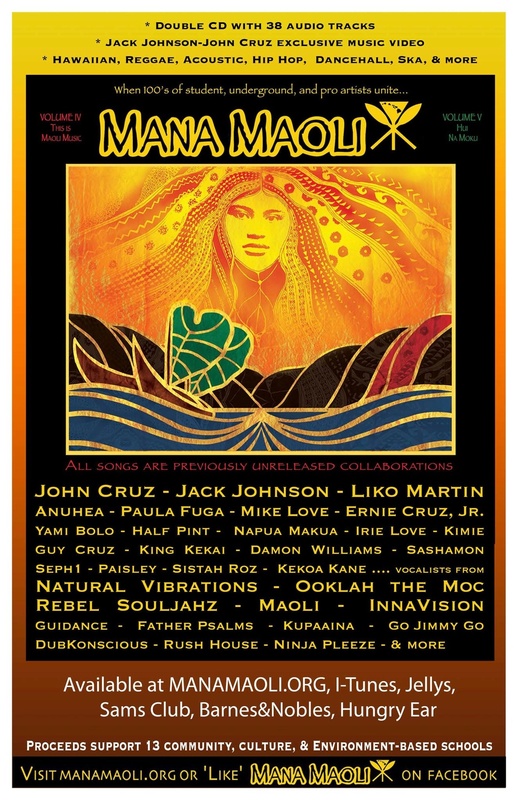 Representing the MMC on the latest benefit double CD: John Cruz, Jack Johnson, Paula Fuga, Rebel Souljahz, Anuhea, Natural Vibrations, Maoli, Ooklah the Moc, Kimie, Irie Love, Yami Bolo, Half Pint, Innavision, Liko Martin, Napua Makua, Ernie Cruz, Jr, Kupa’aina, Lahaina Grown, King Kekai, Sashamon, Damon Williams, Go Jimmy Go, Guy Cruz, Kekoa Kane, Kupa’aina, and many more…. is an inspiring collaboration between over 100 pro artists and over 100 youth representing 13 charter schools across the islands. This double CD includes over 3 dozen tracks, a John Cruz-Jack Johnson music video, and other bonus features. 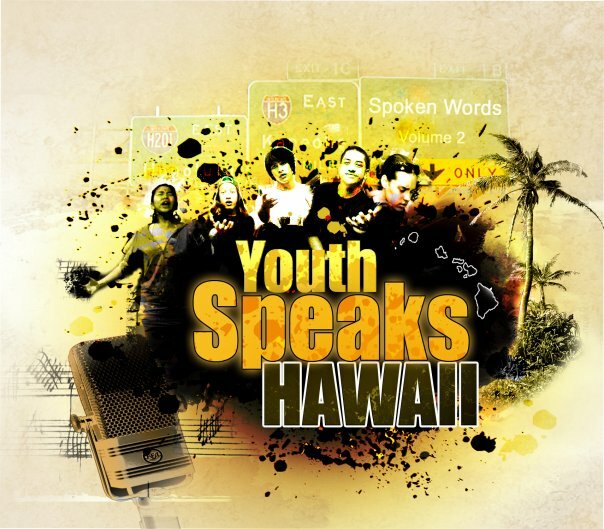 Each track is a collaboration, with Hawaii’s favorite artists across many genres working with the youth or each other. Available at manamaoli.org, i-tunes, and various stores in Hawaii. See manamaoli.org or Like Mana Maoli on facebook for details. The next chapter is a live performance CD recorded at Jazz Minds Arts and Cafe showcasing the Knights, the Band, along with their distinctive instruments of choice, accompanied by B-Cap and Slam Poetess Bridget Gray as the featured vocalist, with some surprise special guest appearances. A free-form neo-soul/downtempo project featuring LadyPaisley and Seph1 and Slo on the microphone…”a seductive blend of purely organic and harmonious poetry.” with guest appearances by Iyeoka O., Oveous Maximus and Maria “Songbird” Remos. Co-production by Ted De Oliveira. 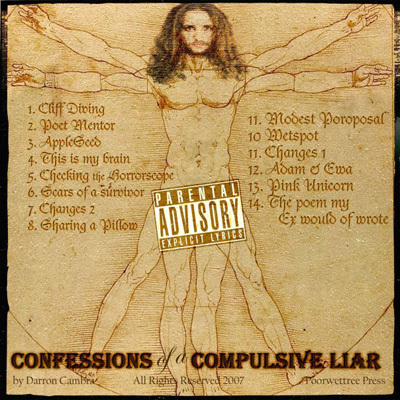 Label:Poorwetree Press Executive Produced by Darron Cambra and Fort Union Ent. Enjoy & Props to Ozone and Jorge Atramiz & Herminio Cordido, the directors/producers (Makers of the classic ‘Never Ending Thermal’).